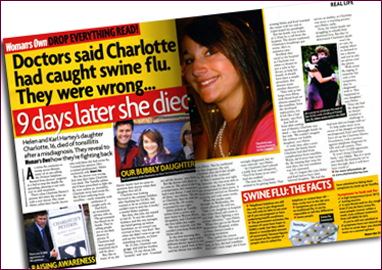 Charlotte Hartey aged 16, died of tonsillitis after misdiagnosis. Karl and Helen reveal to Woman’s Own how the tragic events unfolded. Is Telephone Diagnosis of Swine Flu a Good Idea?